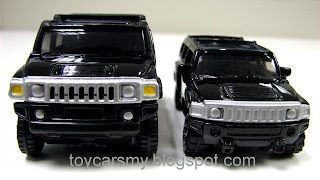 This is the other head to head comparison, this round is Matchbox againts Tomica. 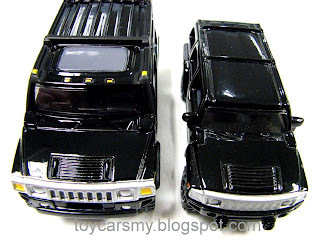 No doubt Matchbox does produced good cars, but in this comparison Tomica still won with its quality finishing. 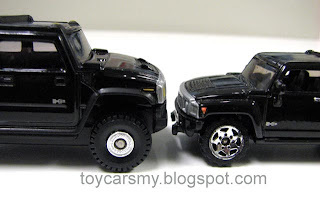 Both cars are different in scale, but it is not difficult to notice Tomica puts more efforts in producing H2, the Tomica is produced with finer trim. 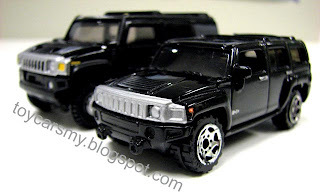 Hello, I think the accentuated wheel arches on the matchbox model shows that it is actually the Hummer H3. 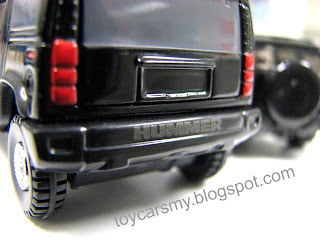 There is a slight difference with the Hummer H2. 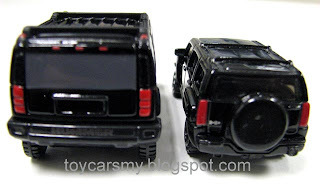 Anyway the difference in attention to detail between Tomica and Matchbox is very evident. Well done bro!!! I personally voted Tomica, heehe, hopefully not bias.